The first trailer is here for Ridley Scott's true story-based kidnapping drama, All the Money in the World. Scott is known as one of the most versatile and visual directors working today, not to mention prolific. This year alone, he has already released the Prometheus sequel (or, if you prefer, Alien prequel) Alien: Covenant and produced this October's long-awaited sci-fi sequel, Blade Runner 2049. The 79-year-old filmmaker has no intention of slowing down or passing up challenging subject matter anytime soon, either. 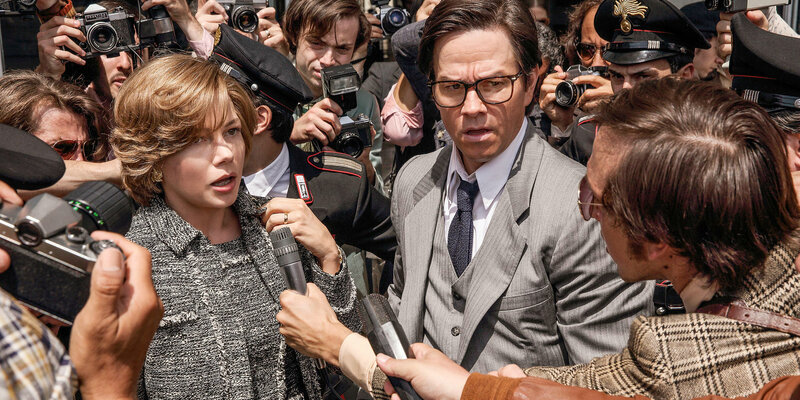 Scott’s second round in the director’s chair this year is All the Money in the World, which tells the true story of the 1973 kidnapping of the grandson of oil magnate J. Paul Getty. The film brings together a powerhouse cast that includes Golden Globe winner Michelle Williams, Oscar nominee Mark Wahlberg, Oscar and Golden Globe winner Timothy Hutton - and as Getty himself, Oscar and Golden Globe winner Kevin Spacey. The trailer offers a glance at what Spacey’s makeup-heavy portrayal of the then “richest man in the world” J. Paul Getty. Starting with the point of view of 16-year-old John Paul Getty III (Charlie Plummer, Granite Flats), accompanied by a meticulously remixed “Time of the Season“ by The Zombies, the film looks like another detailed, polished production - as we have come to expect from Scott and Scott Free Productions alike. The trailer also highlights another dramatic turn from Michelle Williams, who joined the project after Natalie Portman dropped out. Incidently, the real-life John Paul Getty III is the father of actor Bathazar Getty (Twin Peaks: The Return) who co-starred in Ridley Scott’s 1996 action-film White Squall. The backstory behind All the Money in the World has been dramatized for the big screen by writer David Scarpa (The Day the Earth Stood Still, The Last Castle).